Garden Reach Shipbuilders & Engineers Ltd, abbreviated as GRSE, is one of India's leading shipyards, located in Kolkata, West Bengal. It builds and repairs commercial and naval vessels. Presently GRSE has also started building export ships in a mission to expand its business. Applicants who have completed 10th, ITI, Diploma or equivalent from a recognized Institute for GRSE Recruitment 2019. 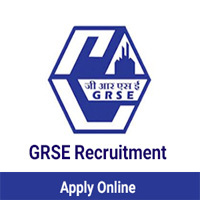 Eligible & Interested candidates can Apply Via Online In Official website page at www.grse.in GRSE Recruitment 2019. Complete the GRSE Vacancy with the essential data. Take a print out of GRSE Recruitment 2019 Online application form.